Take time to understand the safety aspects of your job and surroundings and ensure you know what is expected of you and your colleagues. 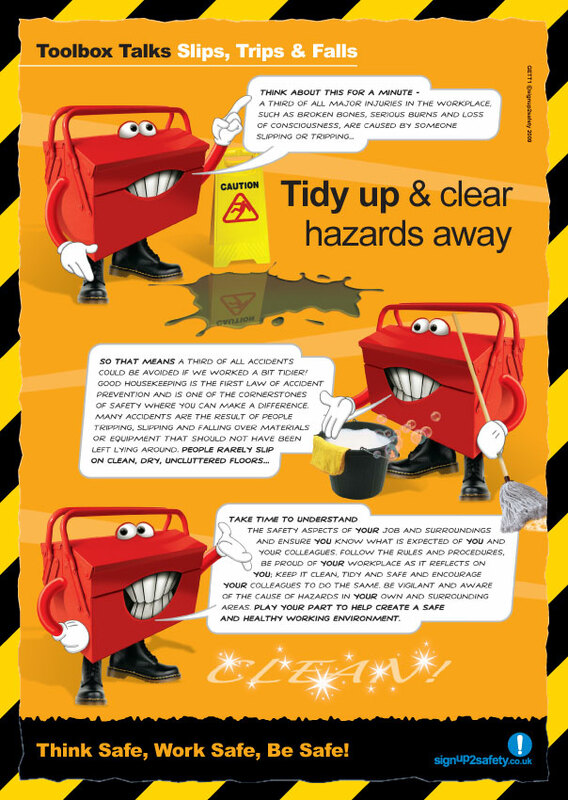 Follow the rules and procedures, be proud of your workplace as it reflects on you; keep it clean, tidy and safe and encourage your colleagues to do the same. Be vigilant and aware of the cause of your hazards in your own and surrounding areas. Play your part to help create a safe and healthy working environment.